Have you been watching the The Great British Sewing Bee? I have and it has inspired me to get sewing again. Dawn over at Pop-i-cok was only saying last week that she used to sew loads, I used to too. I didn't fall out of love with it because of a terrible experience like Dawn (so sorry to hear about what happened Dawn - terrible for you) but I just kinda lost my sewing mojo. 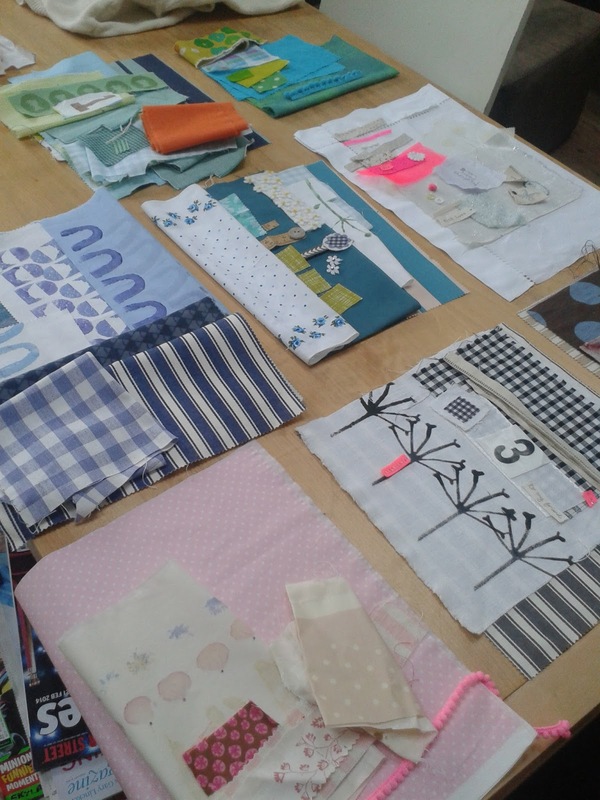 I had a fab time getting fabrics out and have been fiddling about. Such fun! I like the black on white piece Steph. Looks like a seed head. have never heard of the Great British Sewing Bee. Would love to know more. I love to sew and have been looking for some retreats and workshops. Seems like the only things here is quilting. Quilting is big here. Will be back to visit your site. By the way I love the fabrics you have laid out. Have you got a glamorous gran? Wanna be 13,16,18 or 21 again?